Collectioin of Shells - Six cards of shells from New Zealand. These cards have different types and sizes of shells. 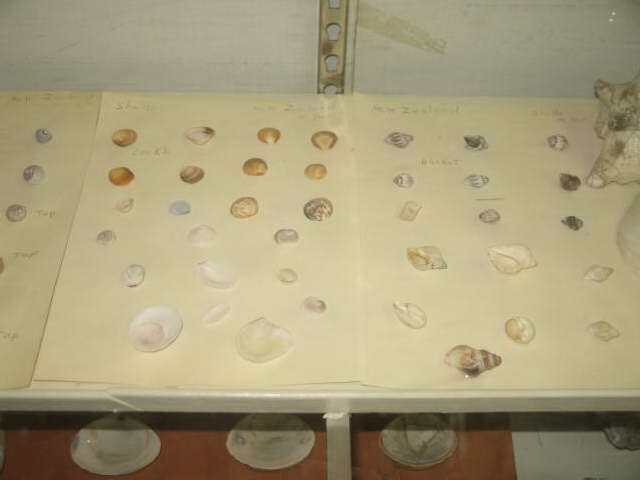 There are about 100 samples of New Zealand shells found on the beaches by Mona Dunn.